You can’t watch your favorite shows without seeing an ad for Quick Trim. This product which is made by GNC and promoted by the Kardashian’s seems to be all over magazines and T.V. While we don’t usually promote diet pills, we thought we would take a closer look at what people had to say about this product. Quick Trim Extreme Burn – An 8 hour pill that promises to burn more calories, curb your appetite, and boost your energy. Quick Trim Cellulism – A gel that decreases cellulite. Quick Trim Fast Cleanse – 48 hour detox in lemon flavor that helps flush the system of toxins and rid you of belly fat and bloating. 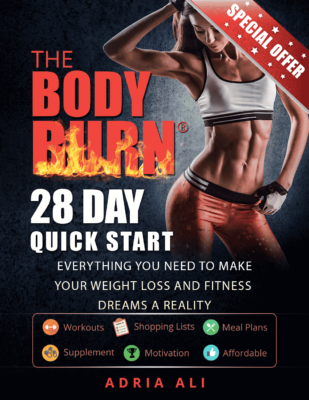 Quick Trim Burn and Cleanse – A 3 part supplement plan that stimulates fat burning durning the day and cleanses you at night. A 14 day routine. INGREDIENTSThe QuickTrim products contain a variety of different ingredients. Extreme Burn contains vitamin C, niacin, bromine, caffeine, QT Capsimax® Super Thermo Complex and Super C3G Lipolytic Complex. Celluslim contains a Thermoplex™ Activated Xanthine Complex Butylene Glycol, Caffeine, Coenzyme A, Urtica Dioica (Nettle) Extract, Camellia oleifera (Green Tea) Leaf Extract, Glycerine, PEG-8, Menthyl Lactate, Water, Fragrance, Phenoxyethanol and other ingredients. Fast Cleanse contains fiber, soy sprouts, oat fiber, aloe vera gel, barley malt and licorice root extract. Burn and Cleanse contains three trademarked supplements called Iso-Burn, Iso-Cleanse and Iso-Flush. The supplements contain a variety of herbs, fibers and metabolism-boosting ingredients (source). Like most supplements, this isn’t a magic pill. It may work in the beginning and help you to lose weight but could mess up your metabolism in the future. It also has some negative side affects that everyone should be aware of. The true road to fitness starts with YOU! Change your eating habits, exercise, and use portion control. In the end losing weight and knowing you did it, is way more empowering then any pill… and you shouldn’t have to pay for pride!